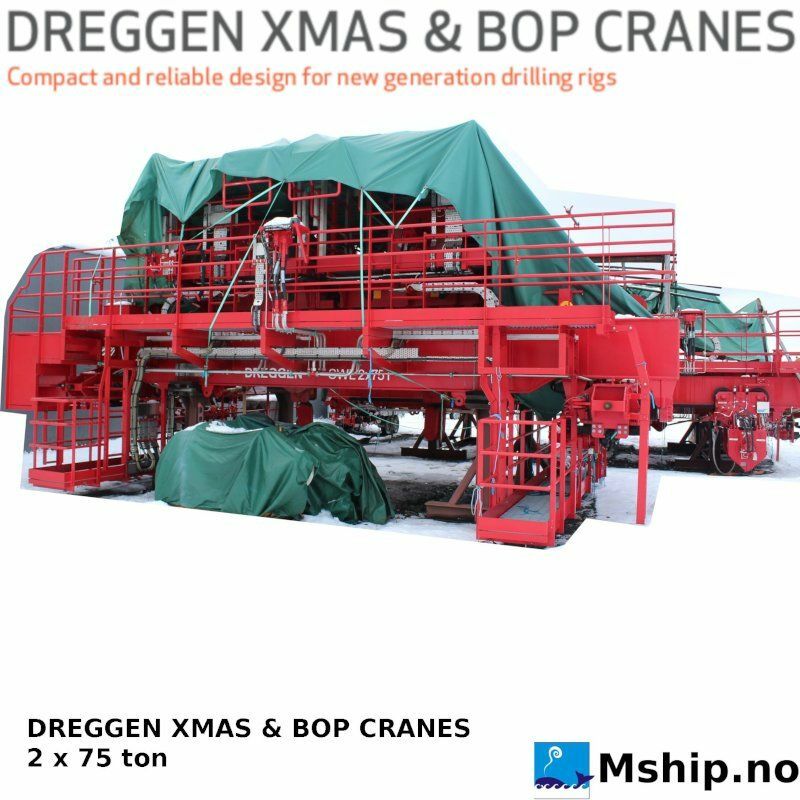 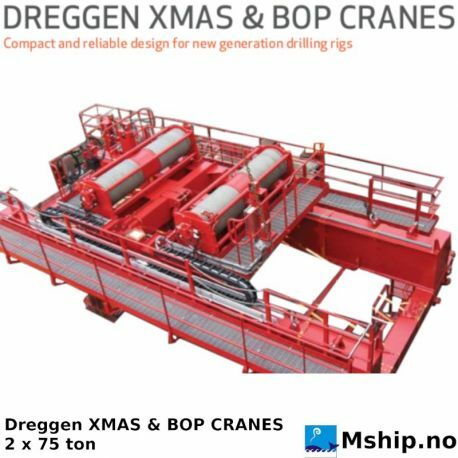 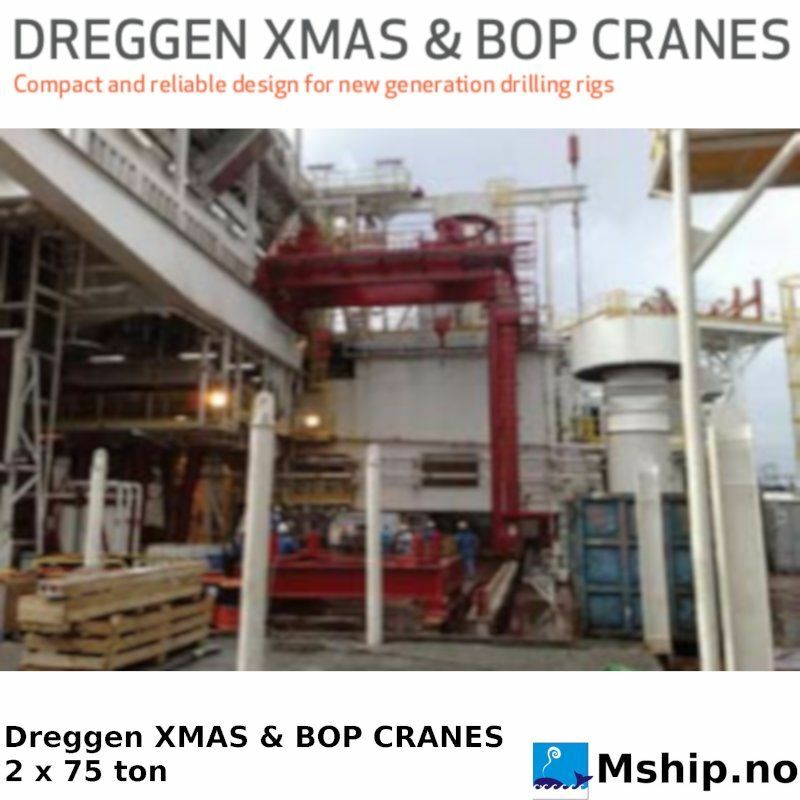 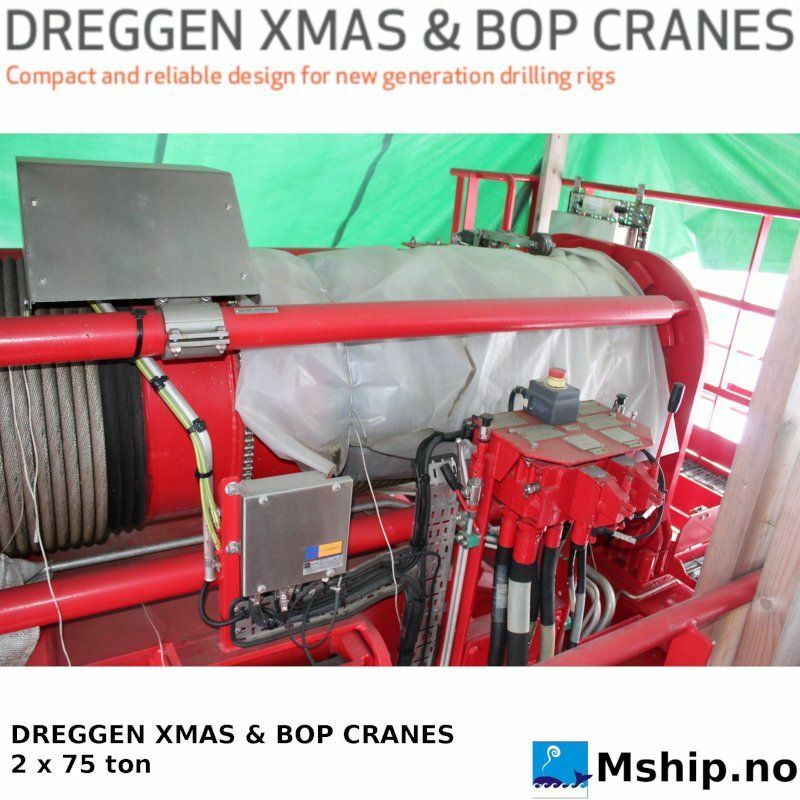 Dreggen XMAS & BOP CRANE 2 x 75 ton - New surplus from canceled project - 2 cranes available. Compact and reliable design for new generation drilling rigs. 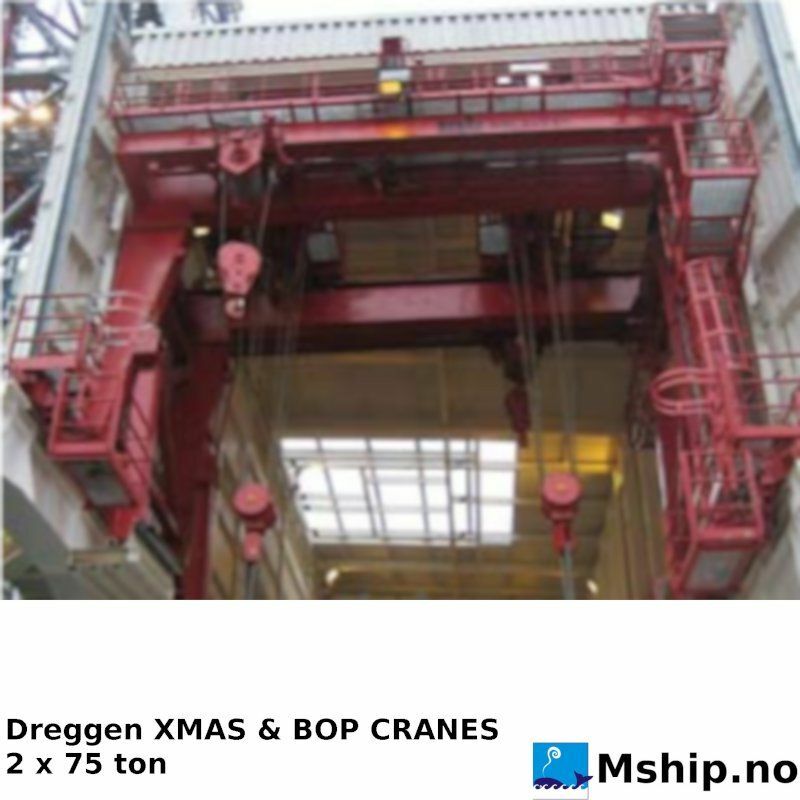 normally running on each side of the derrick. 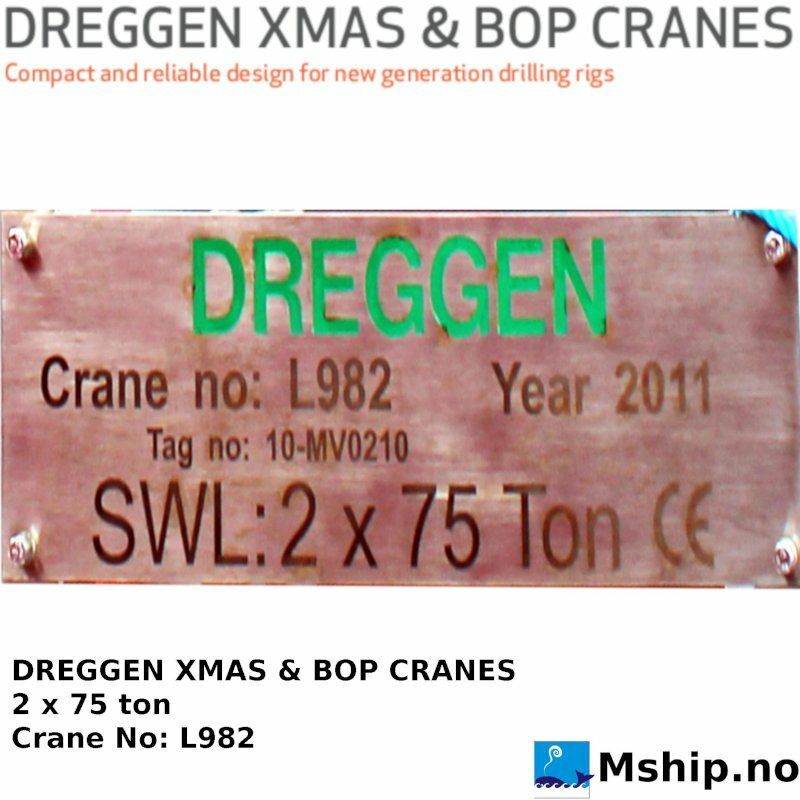 Design temp. 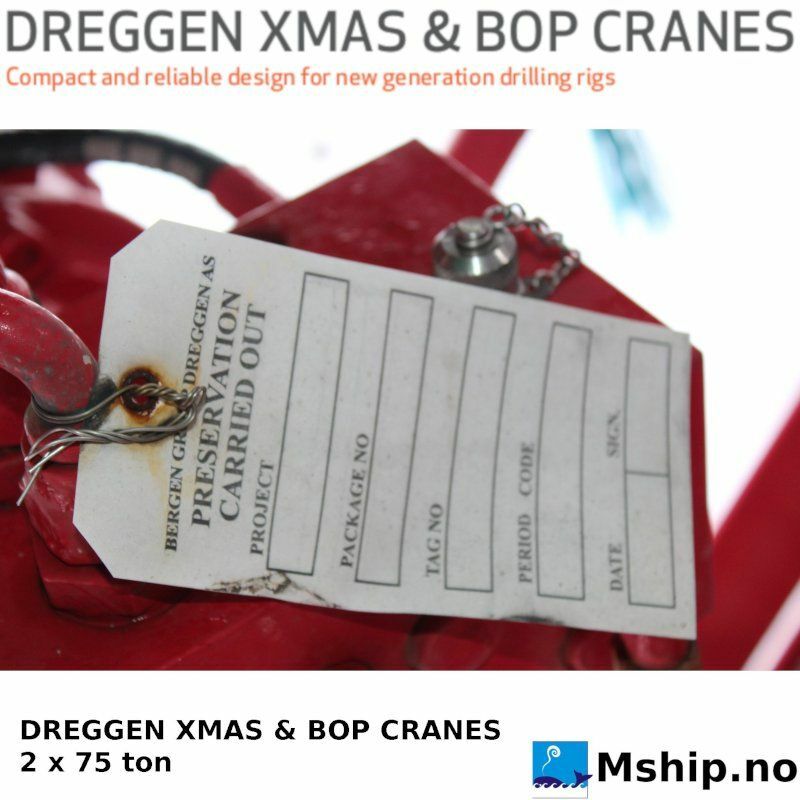 : -20/+40 deg C.
Above in only indication - actual data to be clarified. 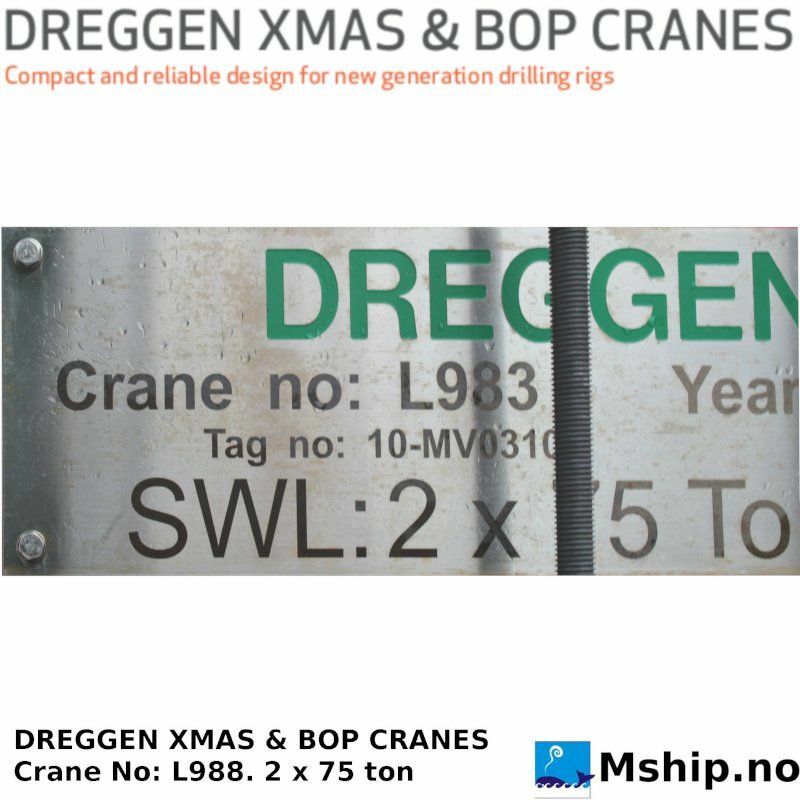 single layer. 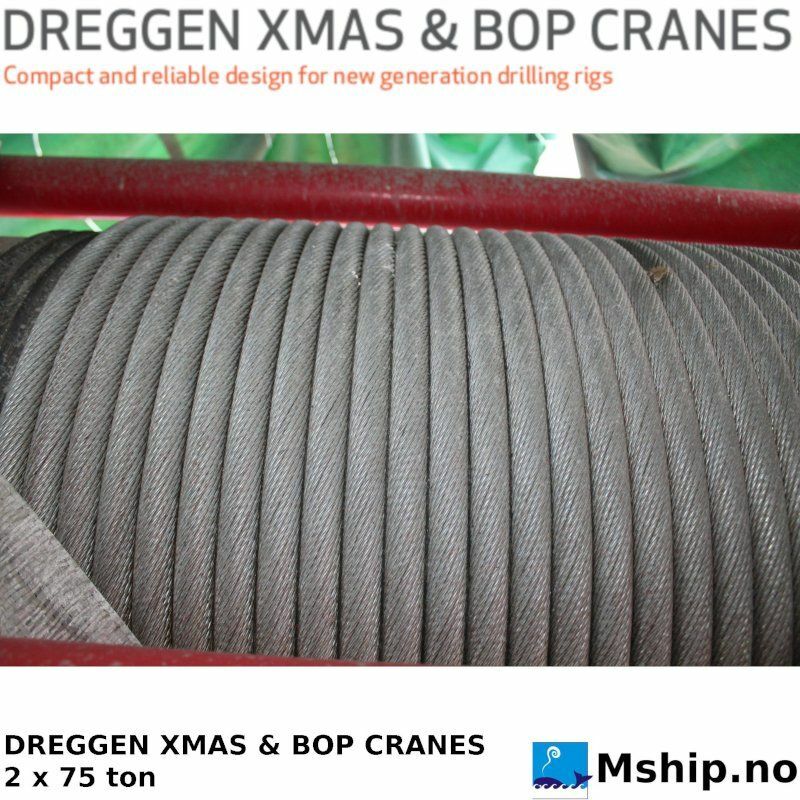 The wire rope are non-rotating and galvanized. 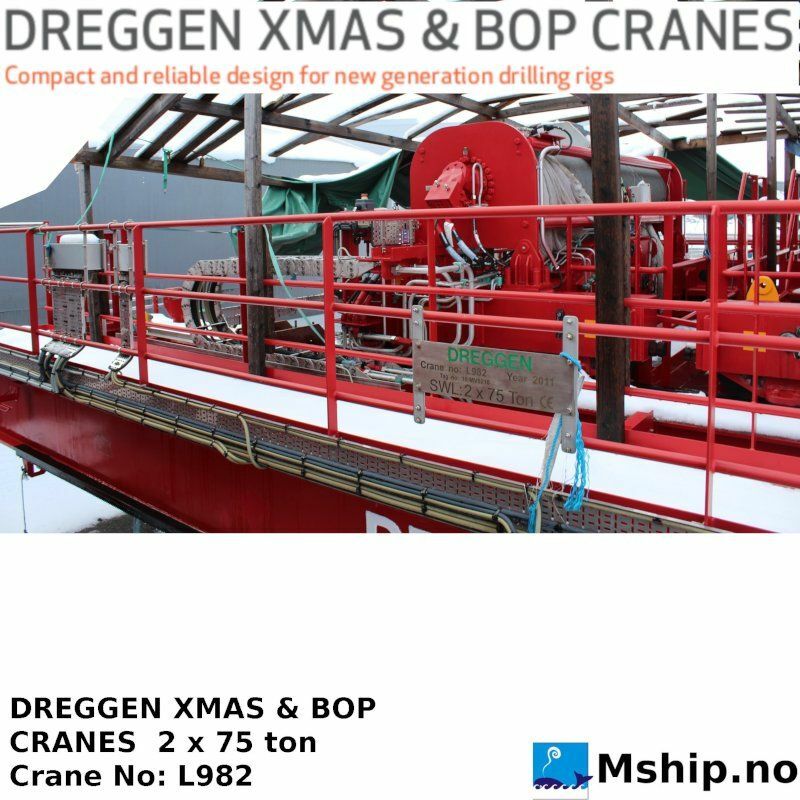 for EX zone 2 with digital read out of load in each hook. 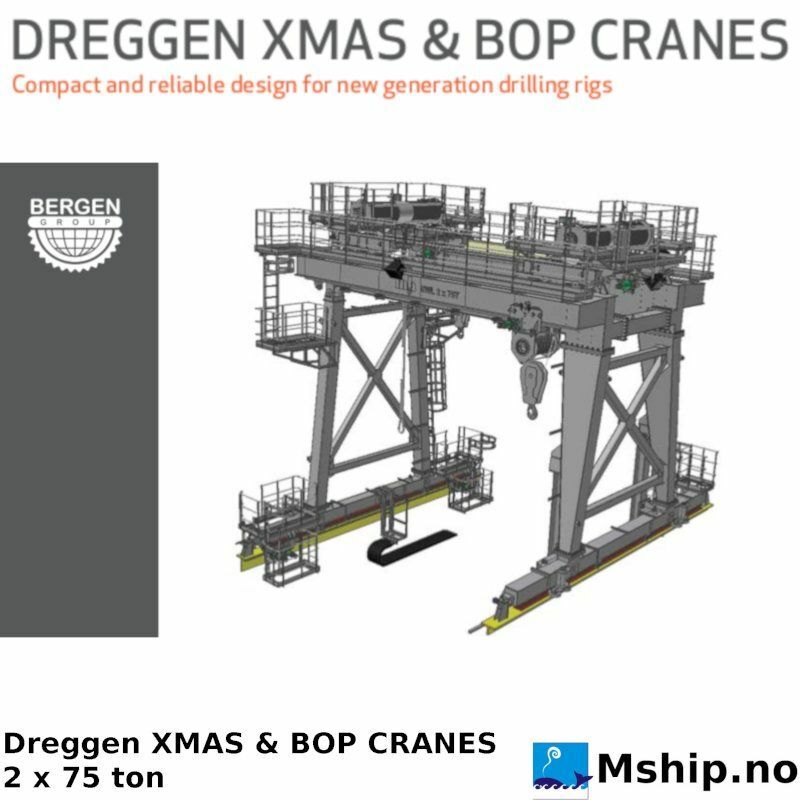 These cranes is new sureplus from a canceled project. They can either be sold complete, or to be used as spares for overhaul of exsisting cranes.